Lemon Juice or Real Lemons for the Lemonade Diet? The prune juice diet is simple: eat nothing, but drink prune juice and water for three days. Although the diet is unhealthy, it may produce its promised results – colon cleanse and temporary weight loss. A better way to enjoy long term health benefits of prunes, including protection against cancer, would be to make prunes or prune juice a regular part of a balanced diet. The theory behind the prune juice diet is that the natural laxative effect of prunes will clean out your colon. Experts disagree about whether your colon needs to be cleansed. Linda Bates, a director of the National Herbalists Association in Australia, says toxins stored in your colon create illnesses and that removing excess waste once or twice a year is an important part of maintaining good health. According to the Mayo Clinic, however, no evidence supports claims that health benefits accrue to those whose digestive systems are purged by fasting, taking laxatives or undergoing professional colon irrigation procedures. A diet consisting of nothing but prune juice – or any diet that limits itself to a single food or food group – is inherently unhealthy, according to the American Dietetic Association. All-liquid diets such as the prune juice diet put a strain on your kidneys. It would be potentially hazardous to continue the prune juice diet for more than three days because fasting can deplete muscle tissue, including heart muscle tissue, and reduce the size of organs such as your liver and kidney, according to Samuel Klein, the director of the Center for Human Nutrition at the medical school of Washington University in St. Louis. Although it is not healthy to subsist on prune juice alone, adding prunes or prune juice to your diet could be a good idea. Prunes are six times better at ridding your body of cancer-causing agents than broccoli and eight times more effective than red grapes, according to research at Tufts University. Dr Ronald Prior, who led the research, said no fruit is better than prunes at ridding your body of free radicals. The high level of antioxidants in prunes does a superior job of neutralizing free radicals, destructive elements in your body formed when healthy oxygen molecules become unstable. Prune juice is relatively high in calories. If you drank eighty glasses of prune juice, you’d consume 1,472 calories. Other liquid diets, including the Master Cleanse, cranberry juice diet and vegetable juice cleanses fall below 1,000 calories. If you stayed on the prune juice diet for three days, you’d lose about ½ lb. of fat. Additional weight loss would come from the elimination of water and waste materials. 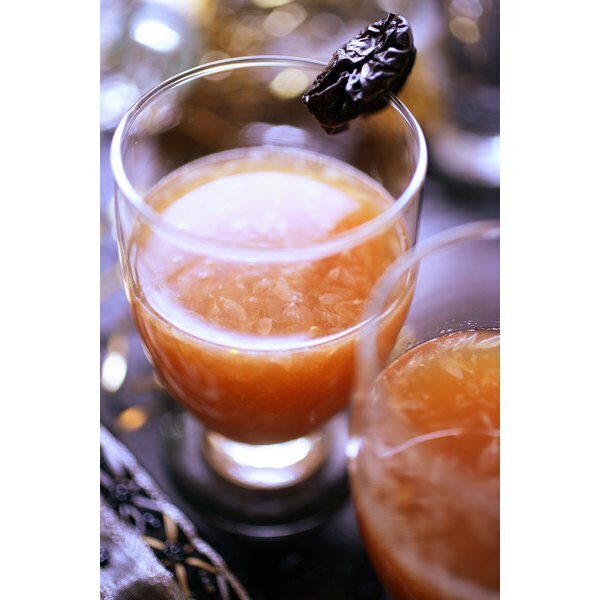 Prune juice does contain some important nutrients, primarily iron, potassium and beta carotene, but does not contain essential nutrients such as protein or calcium. If you decide to try the prune juice diet, consult your physician first. And while on the diet, drink plenty of water. Cleansing diets can cause dehydration, according to Dr. Klein. The Mayo Clinic recommends that all adults drink at least six glasses of water daily and that those with special needs – and following a liquid diet would qualify – should drink several glasses more. A prune juice diet is unlikely to yield permanent weight loss, according to Dr. Klein. But, he adds, you can avoid the yo-yo effect – the tendency to regain more pounds than you lost – if you stay on the diet for no longer than the three days recommended. Mayo Clinic.com. Water: How much should you drink every day?